The valerian plant is a small plant with clusters of pink or white flowers. The beautiful plants, which are native to Europe, were introduced to North America to help the spread of this medicinal herb. In use medically since the time of Hippocrates for its sleep benefits, valerian root is sweeping the nation for its many other health benefits. Sleep: Valerians initial use is still one of its best. Valerian can be a mild sedative. It promotes relaxation and sleep. This use, which has been the primary use of valerian for over two thousand years, is the first thing people think of when they think of valerian. Reduces Anxiety and Improves Stress Management: Valerian root is referred to as ‘Nature’s Valium’ for a good reason. In studies based on valerian, 2500 adults with major depressive disorder and anxiety that took 1,000 mg of valerian reduces the symptoms of their anxiety and depression by about 66%. This is amazing! Valerian also increases GABA levels in the brain (which relate to the Amygdala) allowing it to lower short and long-term stress. Improves Heart Health: Valerian strengthens the blood vessels and provides improved elasticity. This benefits the overall health of your heart and helps avoid heart disease. Ease RLS: Restless leg syndrome is a disorder that affects about 10% of all adults in the US. Restless leg syndrome is a disorder that keeps adults awake at night as they experience unpleasant urges to move their legs when they try and rest. The regular use of valerian has significantly decreased the symptoms of restless leg syndrome and has also helped improve daytime sleepiness that comes from RLS symptoms keeping suffers awake all night. Reduce Frequency of Seizures in Epileptics: Valerian activates adenosine receptors. In doing so, it reduces the frequency of seizures that result from an inability to receive adenosine (a key factor in epilepsy). Note: This isn’t a replacement for epilepsy meds, but a useful supplement. Ease Digestive Problems: Valerian is a popular home remedy for stomach cramps. Valerian does not seem to affect the actual functioning of the digestive tract. It doesn’t seem to help you digest faster, or better. However, valerian acts as a natural antispasmodic. It prevents and eliminates stomach cramps from a variety of causes. Improve Memory and Cognitive Function: As we grow older, we become more likely to suffer from memory loss and cognitive impairments. That’s why it’s good news that valerian can help reduce the risk of cognitive decline. The study that proved this was conducted in older adults directly after surgery, but it can be widely applied to situations outside surgery as well. This same study has been replicated in mice and is good news for those who fear aging and the effect it will have on their minds. Improves OCD and ADHD: A surprise benefit of valerian, and worth mentioning here is an improvement to certain mental disorders. Studies have indicated that valerian helps children with ADHD focus better, avoid restlessness, and curb impulsiveness. Valerian has also been tested and revealed to curb OCD impulses in adults. There are many studies into valerian and its uses. As these studies continue more and more benefits of valerian are discovered. 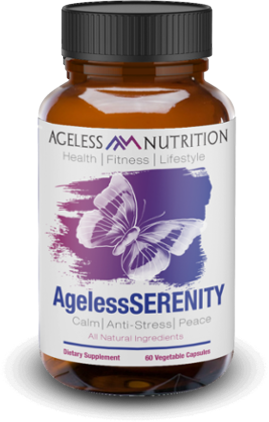 So far though, this supplement has proved itself indispensable to anyone looking for an all natural supplement to improve their overall well-being.